Snorkeling in Kayangan Lake, Coron, Philippines. 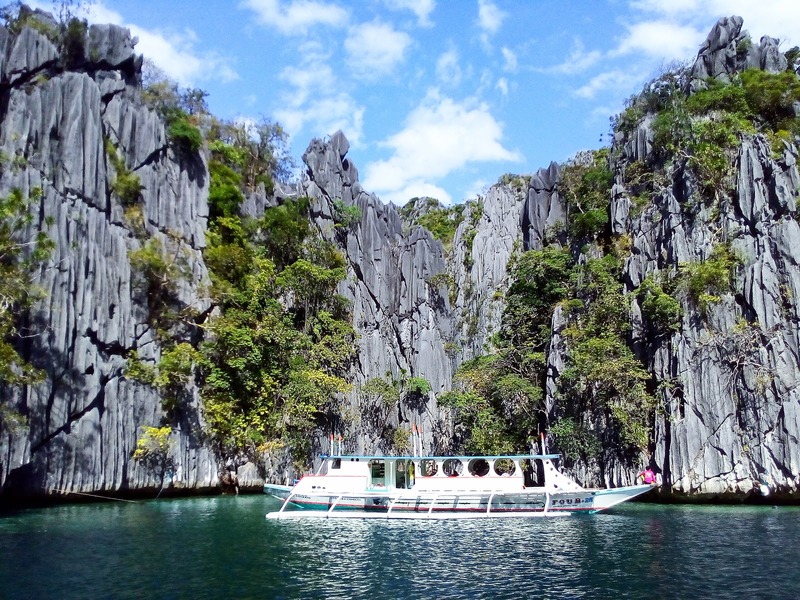 Coron is famous for its World War II wreck diving and snorkeling. There are around ten well preserved underwater shipwrecks surrounded with coral reef. Ocean attractions like Kayangan Lake, Barracuda Lake, Banol Beach, Twin Lagoon, Siete Pecados, Banana Island are great snorkeling sites. Kayangan Lake ocean view from the summit. 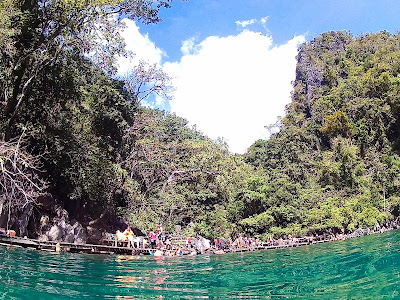 Kayangan Lake is judged as the cleanest lake in the country. Before approaching the lake, go over the cave and glimpse at the great view on top of the mountain. 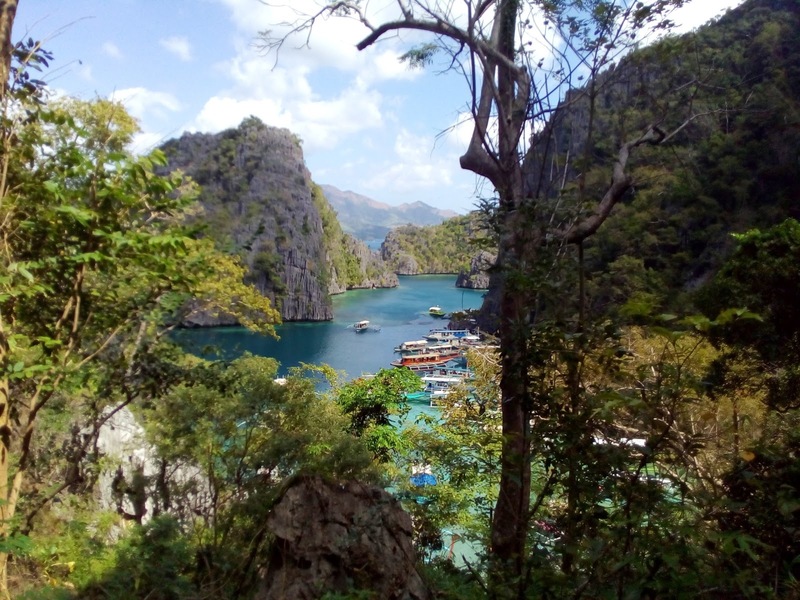 This view is the most photographed area in Palawan. Beautiful white sand and shelter at Banol Beach. Twin Lagoon at high tide, one can swim through the hole of the rock or a walkway can be used to get to the other side of the lagoon. Barracuda Lake is amazing for snorkeling and observing underwater rock formations. Banana Island is famous with it's white sand beaches and numerous Pacific Giant Clams. Snorkeling boat and Coron island rock formation.